The School of Public Health at Jackson State University is committed to providing advanced quality education. Our School provides a learning environment that supports interdisciplinary communication, development of professional public health concepts, values and the resolution of healthcare issues. Our Programs prepare students to be outstanding leaders and practitioners in professional careers in public health, healthcare administration, speech language pathology, communicative disorders, and speech and hearing sciences. 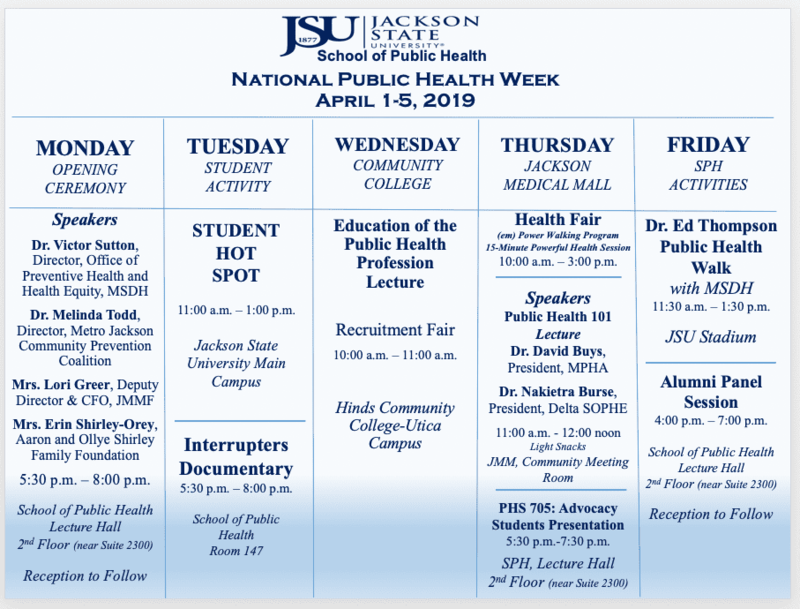 America Walks congratulates Jackson State University School of Public Health on being awarded a Community Change Grant,"em (Power) Walking Program". The grant has been approved for January 3, 2019 to December 31, 2019. Dr. Yalanda Barner will serve as the contact person for this project. The goal is to increase the use of the walking trail in the Jackson Medical Mall to improve the overall health of community members.